Is much more than just nitro fueled street drag racing; discover dozens of collectible cards and dream cars to build up the strongest combination against fellow underworld racers in visually stunning 3D environments! Experience true real-time drag racing with live opponents! 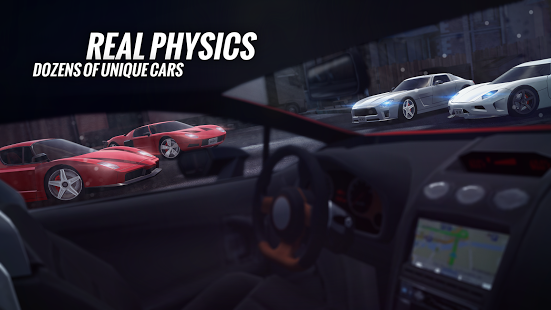 Racing Royale lets you challenge racers around the world as well as your own friends. Participate in ongoing season with exclusive prizes! Chat real-time with your friends or make new ones in global and local chat, it's all up to you! Can't beat opponent with your new ride? 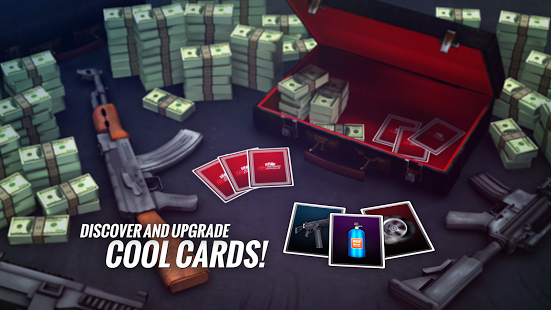 No problem, win keys to discover a vast selection of playable cards; find tons of weapons, boosters and more. Use pistols, shotguns, machine guns and more to conquer the whole city. Boost your bank account with Reward Multiplier or give yourself cover with Armor. With collectible cards in Racing Royale you have endless amount of possibilities! 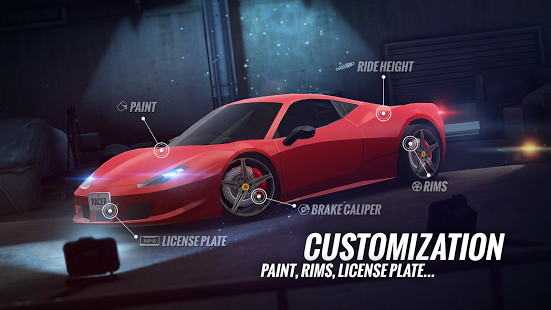 Customize your car with a wide range of paint and rims, custom license plate, brake calipers and even with lower ride height - discover hundreds of combinations!